The July 4th Holiday Season in Provo is spectacular. Of all the activities available in Provo for next weekend (headsup! that happened fast! ), the one I can recommend most (yes, most) is for you to make every effort possible to attend the opening reception of Justin Hackworth's '30 Strangers' Exhibit. I attended this very event last year and was struck by the beauty, the stories behind the faces. Utah photographer Justin Hackworth took 30 portraits in 30 days. His work will be part of Provo's gallery stroll. Donations from sitting fees for mothers and daughters donated to the Provo women's shelter. 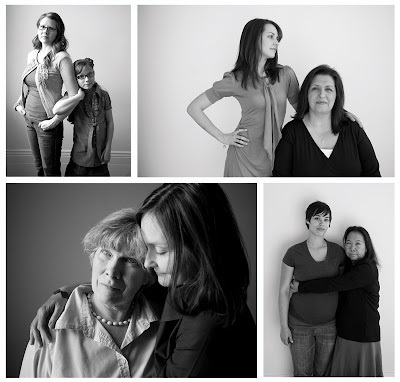 Provo, Utah – June 17, 2010 – How did one Utah photographer and 30 strangers team up to help local victims of domestic violence? Find out when art and activism come together at a downtown Provo gallery on Friday, July 2. Featuring the work of Justin Hackworth http://www.justinhackworth.com, the “30 Strangers III: Portraits of Mothers & Daughters” exhibit will raise funds for the Center for Women & Children in Crisis. For the third edition of Hackworth’s 30 Strangers Project and fund raiser, the fine art photographer shot portraits of 30 sets of mothers and daughters, some spanning four generations, over 30 days. Exhibit begins at 6pm and takes place at 26 West Center Street, near the corner of University Avenue and Center Street in Provo, Utah. Many of the subjects came from all over the country to be photographed: including Washington DC, Los Angeles, Phoenix, Houston, Portland, and Denver. Participants were selected at random from over 400 people that asked to be part of the project. In lieu of a sitting fee, each donated to the Center. During the show opening Hackworth is offering the same arrangement to raise additional funds for the shelter. Did you see the point made up there? Let me repeat: During the show opening Hackworth is offering the same arrangement to raise additional funds for the shelter. If you didn't get a chance to be a part of this year's '30 Strangers' you can still help the Center and get the opportunity to spend some time with Justin. You want to do this. Start out your patriotic celebratory weekend by getting all artsy and support a worthy cause while you're at it. Hackworth is a portrait and Utah wedding photographer whose work has shown at Salt Lake City’s Art Access and Finch Lane galleries, Park City’s Kimball Art Center, and the Springville Art Museum, started the 30 Strangers Project in 2008. I am coming and bringing my hubby. What a beautiful image of your and your son. I LOVE that shot of you and your son! Just beautiful. I donated and got a mother/son sitting last year and I absolutely TREASURE the beautiful images Justin captured. He has such a gift. i'll be there, hopefully i'll see you. What an awesome picture of you and your Bubby! my mom, my sister and my niece participated in this last year. and the photos were really lovely. i love that he does this. it's just beautiful.